I also really do enjoy AS1, and the only reason I dislike AS2 is because of enemy collision. The static I am currently in has just cleared AS2 and beginning ThEX instead of AS3. I love raiding in this game and find it very satisfying. Are Relic and Diadum anti-raiding tools? I want to start off by explaining that I personally found Turns 1, 4-7, and 9-13 to be extremely satisfying raids. I also really do enjoy AS1, and the only reason I dislike AS2 is because of enemy collision. The static I am currently in has just cleared AS2 and beginning ThEX instead of AS3. I love raiding in this game and find it very satisfying. 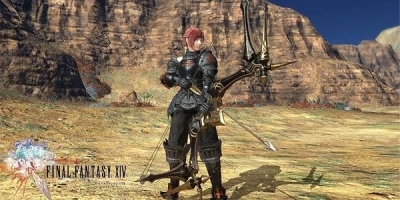 I am going to propose a theory stating that Yoshi P. and Co. are coming up with these extremely easy to-do, yet very time consuming, pieces of content for the sole purpose of not wanting to create anymore innovative raiding content. What effect has the Diadum and the Relic Weapon have on the raiding community? The Relic Weapon and Diadum content are designed with the sole purpose to divert player base attention away from current raiding tier due to poor raiding design and gear progression. Over the past couple of weeks I have been watching PF and what kind of content that that a lot of players on Leviathan have been doing. Weeks before the the Diadum was released, most of PF was filled with AS1 and AS2 weekly clear parties, and a 2 weeks most players were doing AS1 and AS2 clear parties, ThEX up to meteor, clear, or farm parties, players running Diadum, pony farms, and a few statics selling content runs. After the release of Diadum, many players have were using it as a means to gather top end gear. Also, after the release of the relic a large majority of the player base in PF are running FATE parties, Ice Cluster parties, or Alex grinding parties. There are a few AS1 and AS2 weekly clears (few and far between, and rarely filling). As it seems, right now, Diadum and Relic either brought many players back into the game, or have diverted the attention of current player base to run the content instead of the current raid tier. Even though the Relic Weapon and Diadum have revitalized the game a bit, by either having subbed players bit into the new content or bringing back unsubbed players, it is evident that more players are choosing to run Diadem and the Relic Weapon (and VA) over the current raiding tier. Why is this a problem that players are choosing to run Diadum and Relic over current raid tier? Because the gear received from these piece of content, for most classes, are better than what you can get from the most difficult raiding content. Players will choose to run this content in favor of the current raiding tier because it gives the best rewards possible. Because they give the best rewards, and they are by far easier to complete, albiet might take much more time, would give the impression to the developers that this is the favored content and that they should continue to produce content such as the Relic Weapon and Diadum. 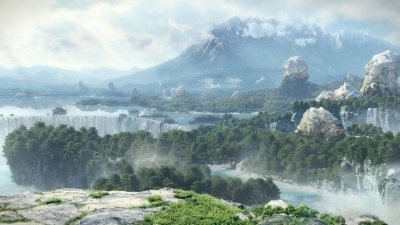 Many players that would otherwise run raiding content if development time was shifted from content like Lord of Verminion, Diadum, and the Relic Weapon, and placed into further balancing raiding content would revitalize the raiding community, and possibly get more players to raiding then currently are. Ravana EX - ilvl 190 weapons. BiS as of patch 3.05: Eso weapon and Alex normal gear. Alexander Savage - ilvl 210 gear + weapons. BiS as of patch 3.05: Mixture between ilvl 210 Gordian and 210 Eso. BiS as of patch 3.1: Eso 210 or Gordian Weapon and full 210 Diadum gear. BiS as of patch 3.15: Relic/Gordian Weapon and 210 Diadum gear. What we are seeing here is that as current raid tier continues, the items from both raiding and Eso get worse and worse (Gordian Weapons are still BiS for some classes). In most games with a dedicated raiding scene, the gear you get from the raids are usually BiS and gear obtained from other sourceses tend to pale in comparisons. FFXIV is the only MMORPG I have played that seems to devalue raiding gear. I propose a solution to the developers for the next tier of raiding so as to reward players those would prefer to do content such as Diadum AND reward players that would like to run current raiding tiers. And, also, allow content like Diadum, Hunts, Tome gear, and Relics to be useful during a raiding cycle. First, design the itemization towards raiding gearing having BiS. The developers should know the stat weights for each class. So, what is the difference between my proposed 3.2 - 3.4 patch cycle in comparison to 3.0 - 3.2? These specific pieces of content are the first things to be released. These are designed to help and prepare the player base for the upcoming raiding cycle. Fights can have sprinkled mechanics that will be found inside of Alex 2 Normal and Alex 2 Savage. 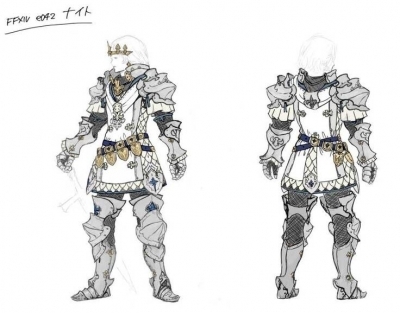 The gear, especially the weapons, will be poorly itemized to help give emphasis to the relic weapons. It would be possible to do the upcoming raiding cycle with the gear, but having a complete Relic will help out much more. Also, for each patch, the Relic weapon will be the BiS to start out with, but eventually will be over shadowed by Primal or Alex weapons. From patch 3.2 - 3.3 Relic weapons and tome/VA/other armor and accessories will be BiS. 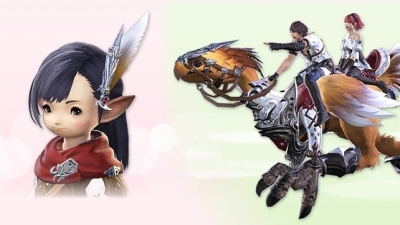 During the actual raiding cycle, Alexander Normal and Savage will contain BiS equipment. This guarantees that the actual raiding cycle will be relevant for longer periods of time. Come patch 3.4, if you have complete all of AS2W2 you will be better off than most. The step to upgrade Relic in 3.4 will make it BiS, but you must first complete the step. Wings? One thing that is a bit disappointing about raiding in FFXIV is the lack of fights. Yes, there are Primal fights and the fights we do get are very challenging, but they are not so more than challenging than any other difficult raiding content found in other mmos. 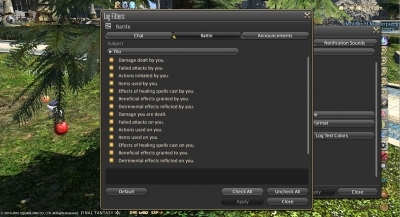 As many have mentioned, difficult content is one thing, having extremely strict DPS checks is another. The more boss encounters we have, and the more we can clear, the better the longevity is for the raiding cycle. Differences between Normal and Savage? Normal mode wouldn't be our "story mode with equipment to grind." They can introduce an easy to beat story-mode but it needs to not include obtainable gear. Alexander Normal mode needs to present some sort of challenge and progression that most mediocre statics can clear. Savage on the other hand would really be no different then what we have seen with SCoB savage and Alexander Savage and truly test our patience. After all has been said and done? So, how does all this work into my theory that the devs want to avoid making innovating raiding content? As you can see with my proposed patch cycle for 3.2 - 3.4 this would require much of the development time to going into raiding and boss fighting. Not too much attention would be given to PvP, crafting, housing, or additional content. There is a lot of content here to digest, upgradable relic throughout each minor and major patch, three new Primals, new raiding tier, new 24 man, 4 (maybe 6?) new dungeons, and an additional raiding wing. That is a lot of development time. Although, when looking at past cycles, this only adds 1, maybe 2, additional pieces of content. The reason I do not see much of an issue with this, though, is because FFXIV is one of the most popular and populated MMORPGs on the market to this date. For the development team to skimp on content and rest on their laurels is insulting to the entire community, and not just the raiding community. We should demand the devs to continue to put as much effort into making playable and balanced content that simply doesn't override each other. I hope in the next upcoming cycle of patches that they find a happy medium and proper progression for their player base. TL;DR: Content like Diadum and the Relic Weapon need to be used and tools for progression for end game content, and not be a means-to-an-end in themselves. The items can be good and useful, just not BiS. 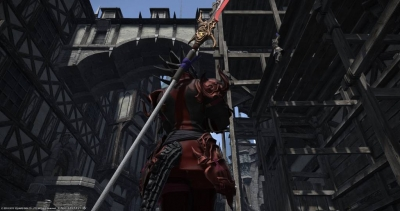 FFXIV A Realm Reborn:How did the Xaela get to Eorzea? But with the Xaela, it's a little more complicated. How exactly would a Xaela from a landlocked tribe (like, say, the Mierqid, who dwell in the desert) have been able to make the same trek?